Charlie Bamforth is a firm believer in giving some of Wolves’ lesser lights the platform to tell their story of what might might have been – and of what actually was. He has recently caught up with another of the mid-1980s ‘lost generation’. Darren Wright might have a declared birthplace of West Bromwich in March, 1968 but the former full-back is decidedly old gold. I say that from his football loyalties and also suggest it is because of his devotion to pursuing the right and proper, no matter what. Wright – what better name could you have as a Wolves man? – played for West Bromwich Boys and West Midlands Schools when he was a student at Alexandra High School in Steve Bull country. He was spotted by John Jarman playing for Bustleholme Boys in West Bromwich. “I signed schoolboy forms when I was 15 and played for the reserves when I was still at school,” he added. “I remember the first time well: I was in a physics class and was called to the front by the headmaster. ‘What have I done?’ was all I could think. He told me I should make my way to Molineux. “I was playing for the second team against Coventry and lining up at centre half against the Coventry gaffer, Bobby Gould! It was Frank Upton who played me as a centre-back but I didn’t grow between the ages of 15 and 18, so I reverted to full-back. “When I joined the club, Graham Hawkins was manager, then Jim Barron took over. It was Tommy Docherty who signed me as a professional. Of course things were not right behind the scenes, including with the coaching staff. “In September of 1985, ironically, I played a Central League game against Coventry again and did well against Dave Bennett. “Bill McGarry was back at Wolves for a brief spell and he watched the game. He told me afterwards I would be travelling with the first team to Plymouth. I had travelled with them before, just for experience, but this time I thought there might just be a chance I would get on the bench. “On the Friday night in the Holiday Inn in Plymouth, McGarry told me I was playing. I was 17. Can you imagine how I felt? I was Wolves through and through and now I was going to play in the first team. Bill McGarry…..delivered some Home Park home truths. As that was Wright’s only game in Wolves’ senior side, it is perhaps fitting to list the team at Home Park on September 21, 1985. It read: Tim Flowers, Darren Wright, David Barnes, Steve Stoutt, Nicky Clarke, Ian Cartwright, Paul Dougherty (John Morrissey), Alan Ainscow, Neil Edwards, Danny Crainie, Andy King. Argyle won 3-1, with Edwards scoring Wolves’ goal. “My closest pal was Roger Preece, who went to Coventry before becoming a team-mate of mine again later in Wales and with whom I am still in touch. “I was gutted to get a free at the end of the season. I thought I had done enough to get a contract but the finances were desperate. 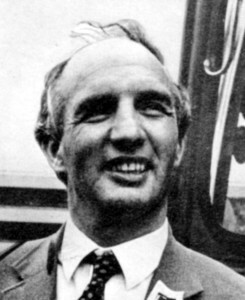 “Sammy Chapman was manager now and of course I knew him very well as part of the backroom team. I thought he rated me – obviously not! They cleared the decks, Sammy included. “Wrexham and Burnley wanted me. I understood that The Doc’s son Mick recommended me to Burnley but Wrexham was nearer. “To be honest, I didn’t even know which division they were in but I had five great years there – we entered the European Cup Winners Cup on several occasions. I even played in the League against the Wolves. It was a 50-50 ball contested with Mark Rankine, then of Doncaster, that spelled the end of Wright’s Wrexham career through cruciate and cartilage damage in his knee. 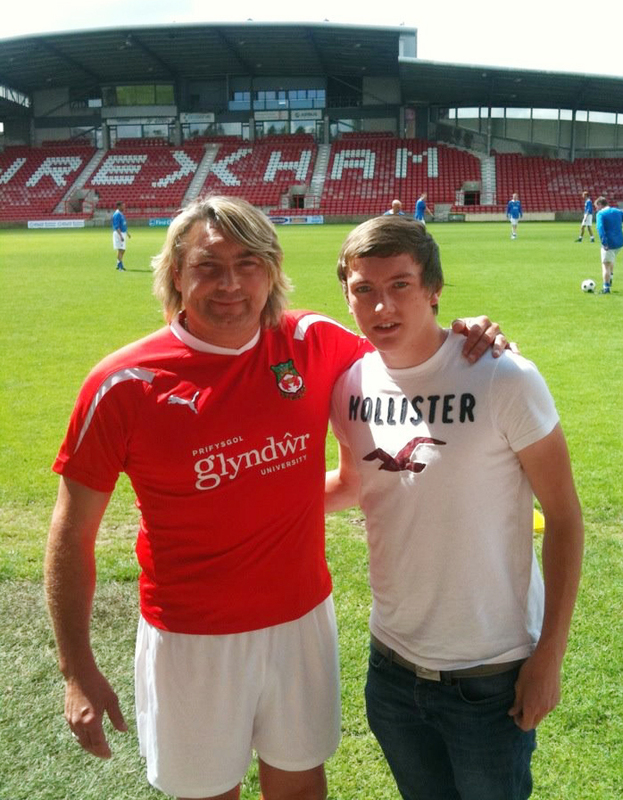 “Mark actually became a good friend, alongside my Wrexham colleague who went to Wolves, James Kelly. “Martyn Bennett signed me for Worcester but it was hard, adjusting to part-time football alongside my work delivering parts for forklifts in the Midlands. “Then it was to Cheltenham, a fantastic club, the Manchester United of non-League. Steve Cotterill was the manager and we had a lot of success. “We won the FA Trophy in 1998 against Southport and promotion from the Doc Martens to the Conference. The season I left, they went into the League but they would have had to pay back the insurance if they wanted me registered and, to be honest, I probably wouldn’t have made it. But I was very proud to have got myself back to my old standard. 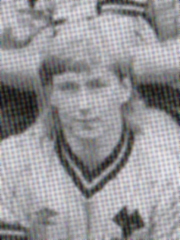 “Next, it was to Stafford Rangers as captain under Ian Painter. I think they actually paid a fee for me. My last club was Halesowen. I always wanted to play for them – a local Black Country team. As it turned out, I didn’t like it much. “For a few years, I stepped away from the game. By now, I had a franchise with the delivery company DPD and it was all-consuming. “But talking to several ex-player friends got me back and into coaching. I took my level two at Wolves’ Compton training ground and the next level at West Brom. “I took a role with Notts County looking after the kids at their satellite centre in Tamworth and then helped out with several under-21 sides before going to coach senior players at Rushall Olympic. “Then I became assistant manager at Continental Star in the Midland Combination for three years alongside Delton Francis. I loved it. “There was no budget, it was all voluntary. But we got promotion to the premier division and it was extremely satisfying being with a club with such a massive role helping people in the community. “Next stop was coaching with the kids at Wolves in the development centre and a couple of times in the academy. I so much enjoyed being around the club again. Darren with son Lewis at a charity game at Wrexham. Darren Wright’s commitment to the game remains huge and he still plays charity games – despite having a heart attack in July, 2014 that surely would have deterred a lesser man. Posted on: Monday, November 23rd, 2015.